Cord cutting is quite the trend these days with the number of streaming services growing significantly each year. Gone are the days when watching movies and television from the comfort of a couch via satellite or cable TV was the norm. The trend is changing towards mobile viewing via video streaming which has fundamentally become the way of life. According to a report by eMarketer, more than 62% of the world’s internet users will view digital video in 2017, up from 60.8% in 2016. Netflix also reported recently at Mobile World Congress that half of all of its users watch video via the company’s streaming service on their smartphones during any given month. Other reports have estimated that 46% of all video plays in Q4 2015 were on mobile devices like tablets and smartphones. In fact, tablet and smartphone video consumption grew 35% in the past year and have grown 170% since 2013. These stats give a clear indication that consumption of video on the mobile is on the rise and is here to stay in the long run and streaming companies are starting to adapt “Mobile First” strategies. Ericsson’s most recent mobility report seems to concur, as their forecast is that as much of 70% of mobile data traffic will be video in 2021. Currently, the vast majority of data used by mobile devices for video is delivered over Wi-Fi. For Western-Europe these percentages range from 86% in France to 97% in Germany. Even though this is mostly caused by the expense of mobile data, recent Ericsson research found that two-thirds of users that watch video over a mobile connection are unhappy with the quality. Network coverage, mobile data speed as well as costs are considered as the limiting factors for the quality of video delivered by mobile by these streaming services. Also, Streaming video can eat up a lot of data on a data plan, faster than anything else. These factors combined have given the rise to the need for users to be able to download videos when they are in Wi-Fi network and watch it on the go, without consuming any mobile data, virtually in “offline” mode. 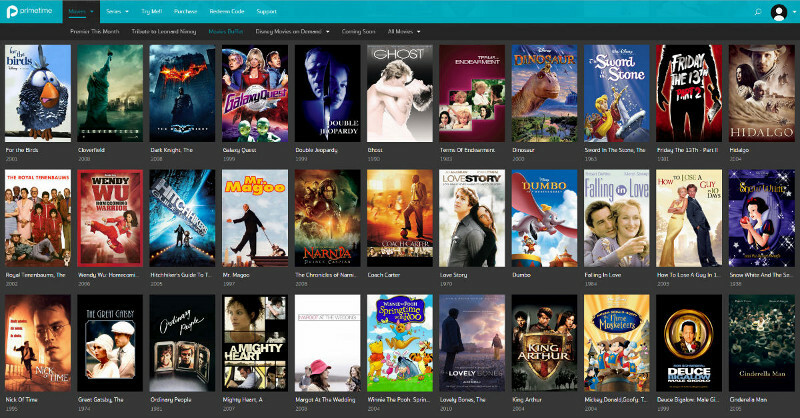 When it comes to movies, TV shows and other clips, many platforms can be used to stream video content from almost any devices, provided you have an internet connection. But how do you stream videos without an internet connection? If you are on-the-go or in an airplane, can you stream videos of your choice? When wanting to watch online streaming videos on-the-go, you can be completely connectionless with offline viewing. Offline Viewing refers to downloading video content from streaming platforms, for viewing without the need for an internet connection. With offline viewing, users can save video content directly to their devices instead of streaming over the web. This enables the users to view their favorite videos when they are unable to connect to the internet or when they do not wish to use their mobile data plan. Offline viewing is majorly used in markets and areas where the cost or the speed of mobile data available to the user is not optimal for them to be able to stream videos on the go, or they may frequently visit areas with no internet connection (like airplanes). In these cases, users prefer to “download and save” their videos onto their mobile devices while they are preferably connected to a WiFi connection and watch them on the go without consuming any mobile data or requiring any internet connection at their own convenience. YouTube videos, for instance, provide an option for downloading videos for offline viewing, so users can click on the offline viewing option to download and save videos on their devices. Upon clicking the add to offline option, the user can choose between HD or Normal resolution for the video download. Once the videos are downloaded, they can be found in the offline videos section and can be replayed offline. Users can watch videos multiple times with the same bandwidth cost without consuming any additional data or without worrying about high data costs. Videos can be watched on-the-go without internet connection (Mobile data or Wifi) while traveling in underground metros or flights or if the user simply does not want to consume any data. When there is poor or no internet connection, like an airplane or when driving in places with poor network service, offline viewing can be particularly helpful. Also in certain nations, where not all households have an internet connection with wi-fi, offline viewing serves as a bonus feature where video content can be downloaded in homes, public free wi-fi hotspots or office, where ever free Wi-Fi connectivity is available, for later consumption. 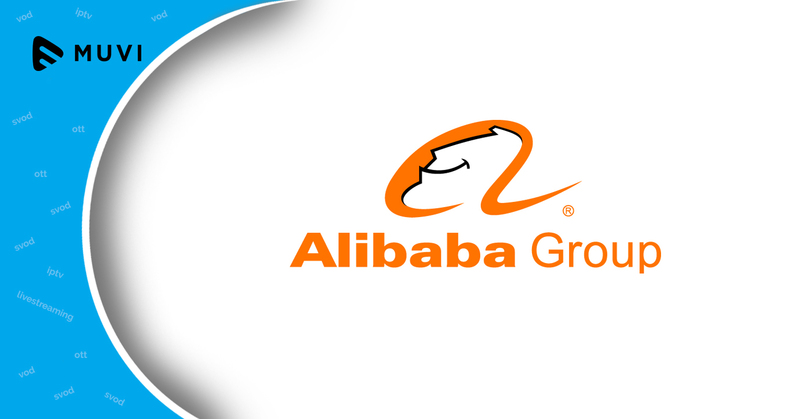 The offline viewing feature would help OTT platforms to penetrate markets in regions like Latin America, Africa, Asia and developing countries where the rate broadband internet penetration is lower in terms of speed and connectivity. Hence the download culture is much more prevalent in these regions. Essentially, offline viewing would benefit viewers in countries where there is limited broadband access and several people share a tablet or smartphone as that’s their only way to watch video. Typically offline videos do not have any live ads, so a viewer may have an uninterrupted viewing experience unless ads are part of the video file itself. The downloaded videos cannot be shared to other mobiles since they get encrypted and decrypted in real-time within the OTT provider’s app, hence there is no means of saving or transferring the saved offline videos. This would benefit video streaming platform owners. Downloaded videos cannot be “Saved forever”, they usually have an “expiry” period after which they are automatically deleted from the device. The user needs to redownload the video to be able to view it repeatedly. Not all videos on the OTT Platform may be available for “offline viewing”, this depends on various factors including rights procured by the OTT platform for that specific video. Streaming a video may have typically consumed “less bandwidth” as the streaming service may switch and deliver a less resolution video to the viewer and thus end up consuming less bandwidth vs “offline viewing” where the video will be downloaded on the device at one specific resolution and hence consume that much fixed bandwidth. Saving videos typically consumes a lot of space on the device, and is not easily detectable by the device under storage settings, as this memory used is part of app memory. Which streaming services currently offer this killer feature? Streaming services like Amazon Prime Video, Netflix, HBO Now, Hulu, YouTube, YouTube Red provide users the ability to download videos for offline viewing. Some streaming service providers offer offline viewing without requiring the user to login. So whilst they are on the homepage itself & they can view the offline videos to download. Some OTT providers require users to log in to their account after which they can view and download offline videos. 1. DRM protected offline viewing: This refers to DRM video content that is downloaded by the user for viewing later without an internet connection. It involves storing videos in user’s device in encrypted format and being able to playback videos within the provider’s app. 2. Non-DRM protected video download: refers to download of video content that is not DRM protected which means video content can be accessed and distributed since it is not encrypted. 3. Download to own: Users can download and view videos in their original file format. Download to own videos can be distributed. The user first needs to log in to the video streaming service account. For instance, YouTube. Upon logging in, the video content details page is displayed. On clicking the desired video, the player page opens. On the player page, under the video, there will be a download option if the video content provider offers this option. Otherwise the video will be played in normal playback. If download feature is available and clicked, download information as well as confirmation message will be displayed. There may be an option to Cancel the download during the download process. On download completion, the videos are saved to the My downloads folder on the user’s device. The user can navigate to the downloads folder and play the video on the video player app belonging to the source service from where it was downloaded. There is an expiry period which could be anywhere between 24-48 hours or even up to a month, for viewing downloaded videos after which the video file will need to be re-downloaded for viewing. The downloaded file is saved to the device’s internal storage after encrypting the downloaded files by using a hashing technique called Password-Based Key Derivation Function 2 (PBKDF), a type of encryption which divides the video data into chunks. A number is assigned to each chunk of data. This is done to avoid user interaction directly which means that the user cannot access the file contents but can only play it in the native app meant for playing the video. Once downloaded, when the user plays the video from the download location which is the storage within the video player app and not the device storage, the file contents are stitched back together via decryption and the user can view the video on the specific video player app that is installed on the device and that belongs to the OTT service provider (for instance Netflix). 1. Less RAM, Inadequate Storage: If the device has low RAM, it impacts the processing speed at the time of video download. If there is less space on the device while downloading the video, user to needs to clean up some space before proceeding to download. 2. Sometimes at the time of download, it is challenging to track where video contents are saved on the device especially if the user wants to find the video contents. For instance, partially downloaded videos which were canceled midway, go to the garbage downloads which cannot be easily found by the user, plus they take up unwanted storage. OTT providers may or may not provide the cancel option for users to cancel the download at some point during the download process. 3. Encryption and decryption take time when the size of the video is large. 4. When the RAM is less, internet connectivity also becomes slower and that impacts video download time. 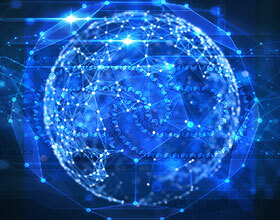 Offline viewing is beneficial especially for users in countries where internet connectivity is limited or for users who travel a lot. Downloadable video for offline viewing is gaining more momentum and popularity with each day as more people prefer viewing videos on their mobile devices since they can download videos to view while in transit. It is definitely recommended that OTT service providers include Offline Viewing in their collection of features and it can be a deciding factor that leads to a user picking an OTT service provider vs its competition. Muvi realized the importance of offline viewing early on and hence it has built it as a key feature for its Android and iOS apps. Muvi helps you launch your own OTT Streaming service by providing an end-to-end offering with features like offline viewing and several security features such as robust & secure cloud infrastructure by deploying Advanced Server Side Security & Firewall. It also provides Studio Approved DRM and powerful encryption ensuring your contents are safe. Visit Muvi to get started with your own Multi-Screen OTT Service today! 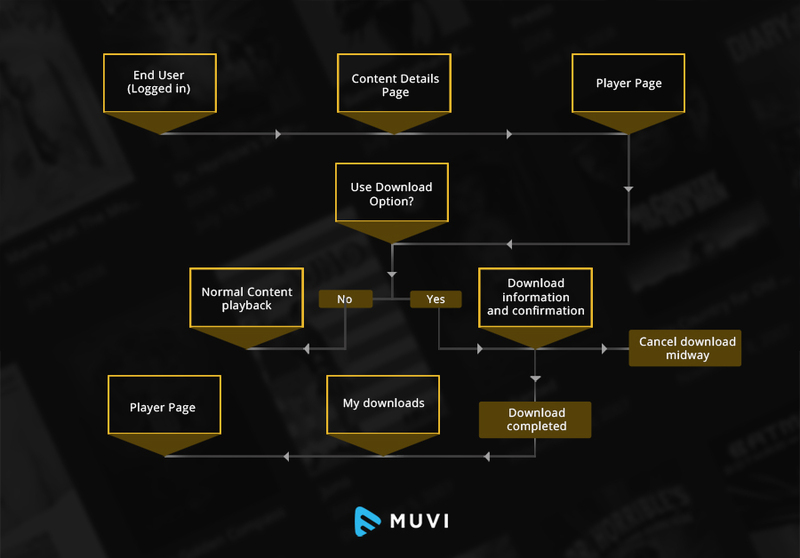 If you would like to learn more about the Muvi Offline Viewing feature you can visit the Muvi help page here.